Make your to-do list disappear from just £12.50 per hour. WHETHER IT’S FOR BUSINESS OR PLEASURE. 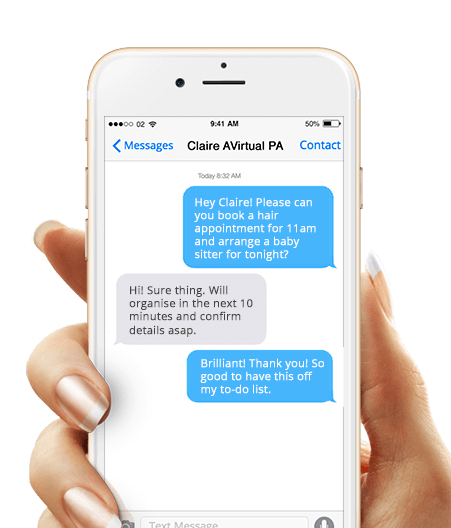 Remove your To Do list from just £11.50 per hour. LIBERATE YOURSELF WITH EXPERT LIFESTYLE MANAGEMENT. THE ONLY THING YOUR VIRTUAL CONCIERGE CAN’T DO IS BRING YOUR COFFEE TO YOUR DESK. “My personal concerge is amazing, while Millie works online and not in my office, its like she is always around. She has become a critical part of my life helping me run my business and personal life. FULL-TIME EMPLOYEES, HIGHLY TRAINED AND DEDICATED LIFESTYLE MANAGER. NO FREELANCERS. Our concierges are all full-time, hand picked AVirtual employees. Every member of our team is based in the AVirtual Cape Town office where they receive extensive training, technical support and guidance. Our location in South Africa allows us to offer the highest quality of service at the most favourable rates. An Avirtual concierge is 35% cheaper than one in the U.K. And despite our unparalleled quality, we’re the cheapest in the UK market. We decline 200 applications for each personal concierge we accept.